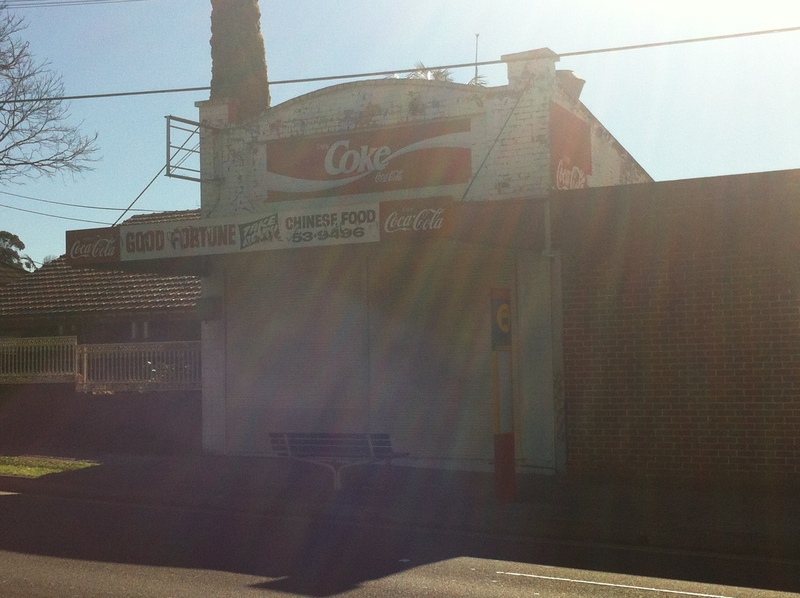 Proudly presented by Coca-Cola is the Good Fortune takeaway. Over the years, I have never, ever seen this place open. Coke’s absolutely saturated it with signage, and there’s faded evidence that there was once even more. I’m guessing this wasn’t a place you headed to when you felt like a Pepsi. If I were conspiracy minded, I might argue that Coke has paid (or threatened) the current owners to keep the signs up for the free advertising. Does this work as advertising? 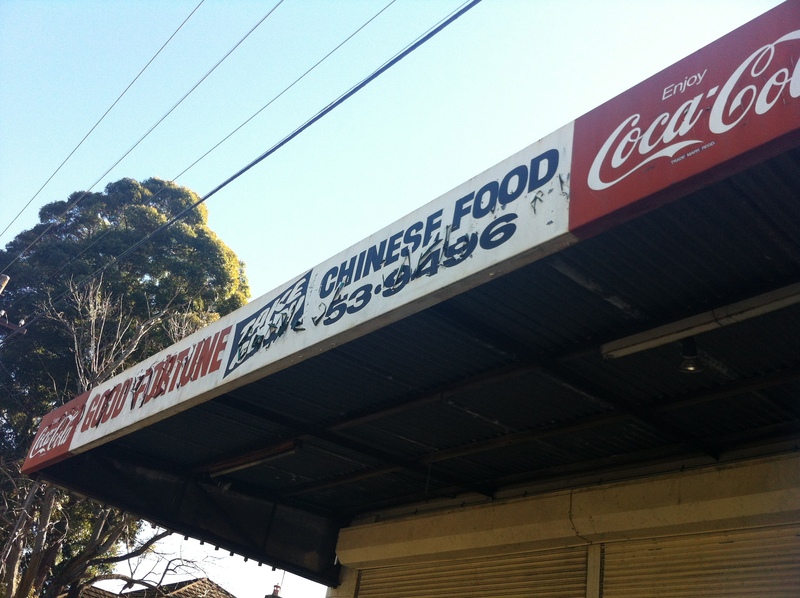 Is anyone looking at the dead husk of a Chinese restaurant and getting thirsty? 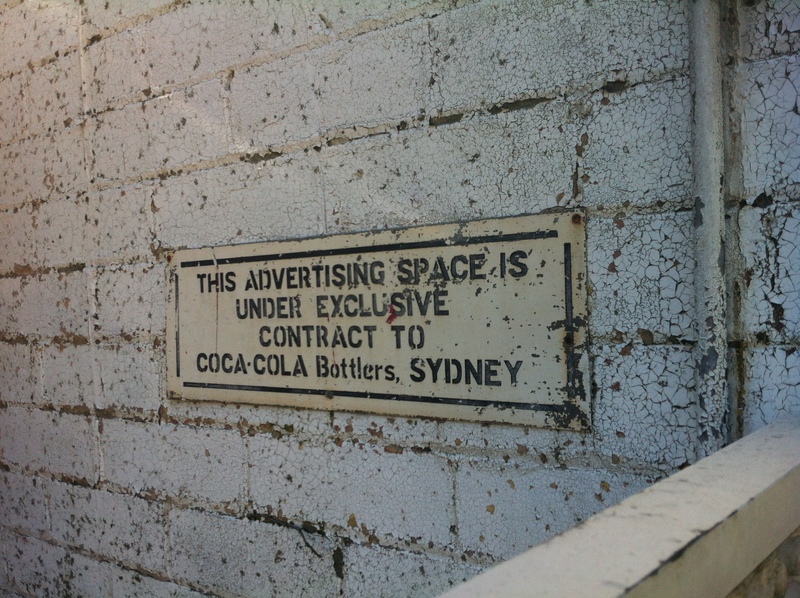 The small, weathered sign on the side informs us that the advertising space (not a shop, an advertising space) is under exclusive contract to Coca-Cola. Can I ask why? It’s not like this is the Centerpoint Tower, or a place with amazing exposure. It is across the road from a school, however…the conspiracy deepens. As old as the place is already (six digit phone number), the peeling paint on the awning suggests there’s an even older entity waiting to expose itself to the world. The shop appears to be part of the residential complex behind it, so it’s likely that someone bought the house and closed the shop. Good fortune for the homeowner, bad luck for the Good Fortune. Highly enjoyable writing ~ witty . Always enjoy reading these posts ! I have actually seen it open, but never ventured in. I still remember the face of the woman who worked there, likely the owner. I last recall being sent down there to pick up food when staying at a friends house nearby, judging by my age and the particular friend, it was probably about 1994. They used to give free prawn chips with orders and sold cigarettes to minors I think. Forest Road next to Old’s Park, near my grandmother’s house. I remember the free prawn chips too.